Corey and Morgan are siblings who LOVE to read. They love it so much that they’ve put together a play to share a few of their all-time favorite stories by L. Frank Baum. 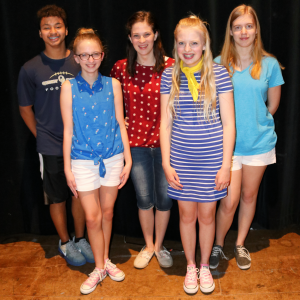 With help from the audience and some important theatrical and literary terms, these siblings teach us that we each have the power to do incredible things when we use our imaginations! AMERICAN FAIRY TALES performances in red were open to the general public.